MAC PRO products NOW available ONLINE! I’m super excited about today’s quick post. 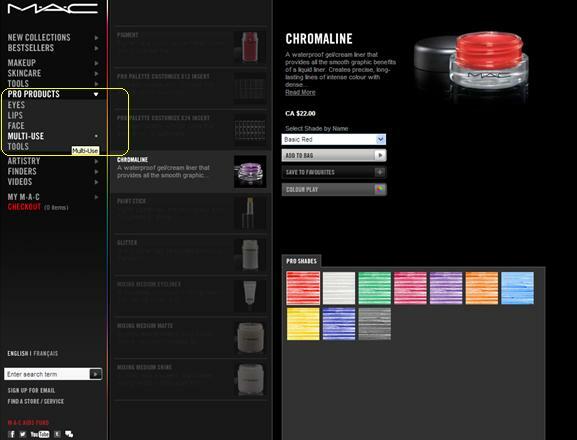 Starting today, October 18th 2012, MAC Cosmetics has made their entire collection of PRO products available online! 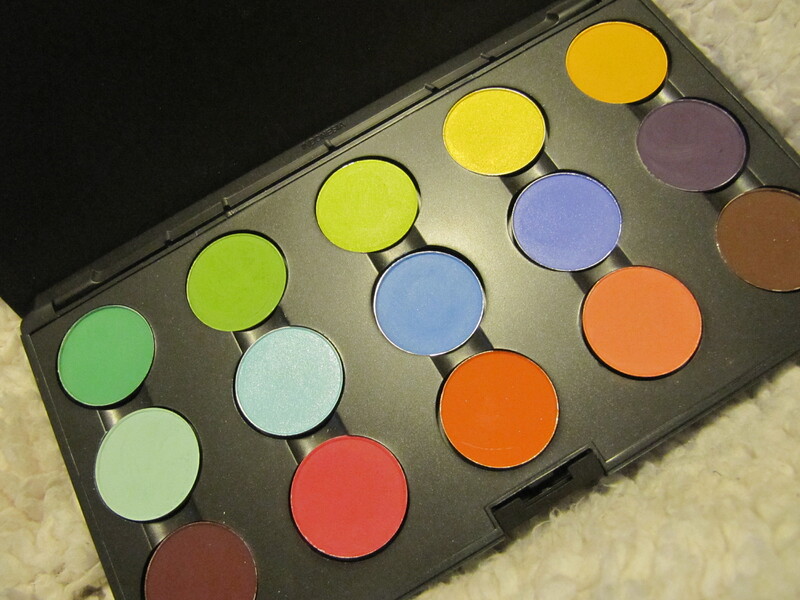 For years, they have always had this secret collection of colours and products that you could only purchase through a MAC PRO store, either in-store or over the phone. But now, they are available online for regular purchase. You will still need to visit a PRO store to touch, feel and play with the products, but at least now they are much more accessible for purchase. On the left hand side of their website, where they have all of their categories, there is now a new one called “PRO PRODUCTS”. It is split up into sub-categories for eyes, lips, face, multi-use and tools. It is really fantastic! You should be on there snooping around right now! They have all sorts of cool stuff like lip palettes and lip mixes, glitters, paint sticks, setting powders and body paint. 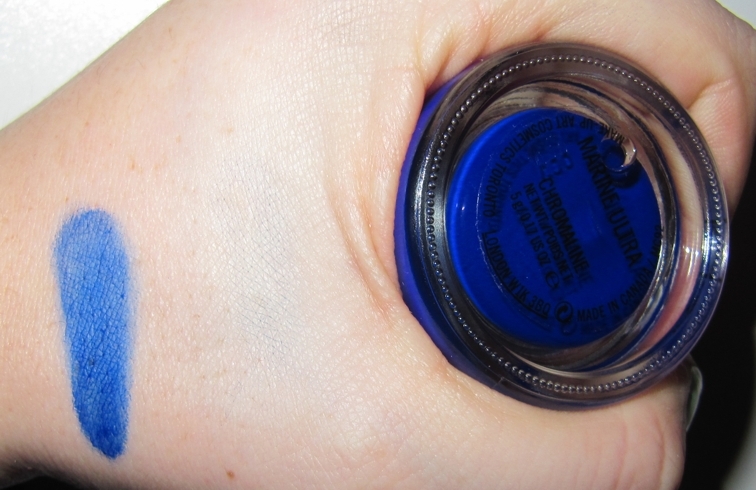 This is of course in addition to a number of extra shades in the products you already know and love! There is a lot of really cool stuff from the MAC Pro collection to check out – so you’ll have to let me know which products you are most excited for!! With St. Patty’s Day just around the corner I felt it necessary to pull out everything green and showcase these products for you. Some of the products you’ll have seen on here already, but now you can see them alongside all of their green counterparts. 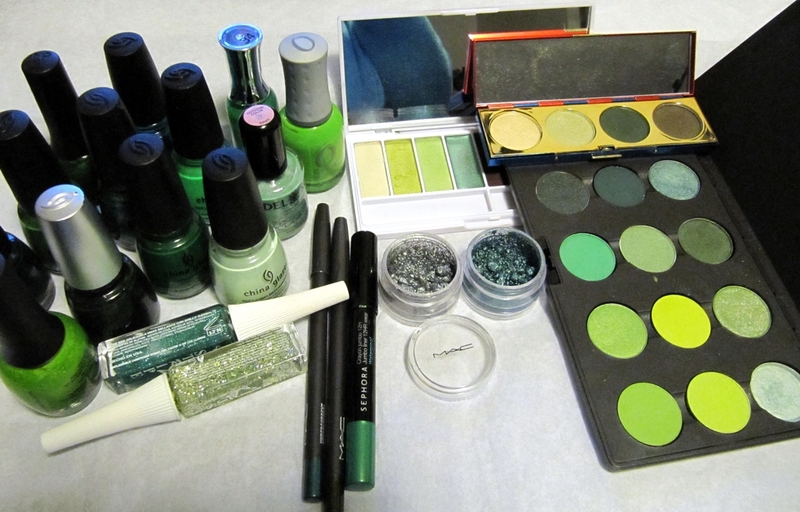 Given my huge range of green eyeshadows, I have very little in the way of green pigments. 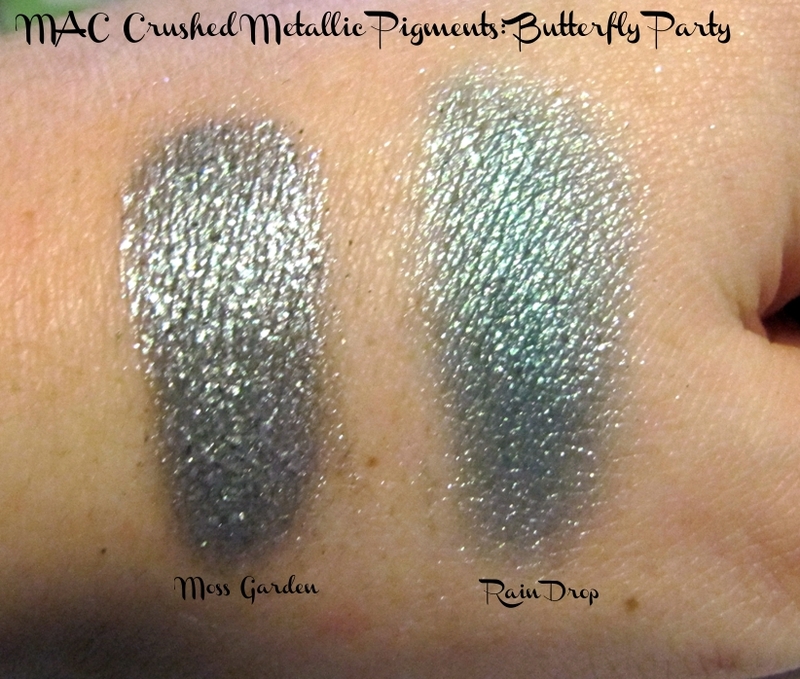 The only ones I could even throw in here are from MAC’s Butterfly Party set. Moss Garden and Rain Drop certainly have greenish blue tints so I decided to include them even if it was a bit of stretch. Pearlglide Intense Eyeliner by MAC in Black Line (because this is the first time I’ve shown this one, I wanted to show it both smudged and not smudged. You can see when you blend it out a little bit, the gold and green flecks really start to show. I love this one because it has a sort of khaki green tint to it. I also want to feature a palette I picked up back when the Wonder Woman collection hit the shelves a few months back in MAC stores. You can create really beautiful soft and sultry smokey eyes with this palette between the soft minty green and harsh forest green shades. 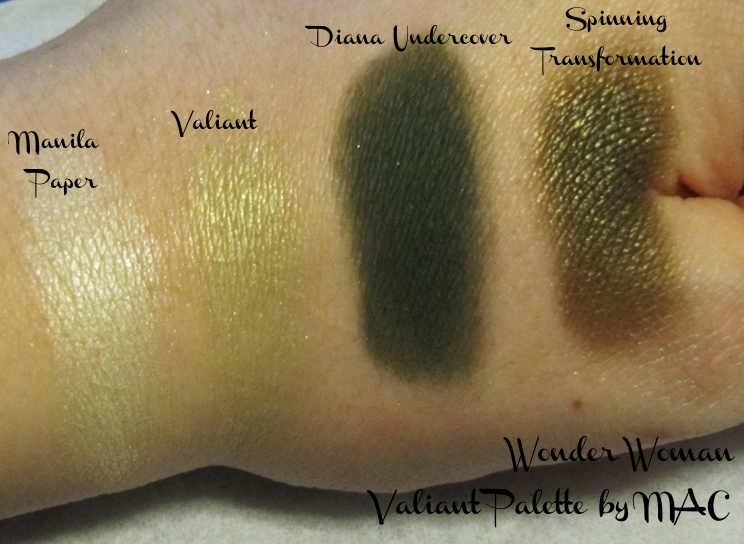 This palette features 4 x full size MAC eyeshadows: Manila Paper, Valiant, Diana Undercover and Spinning Transformation. 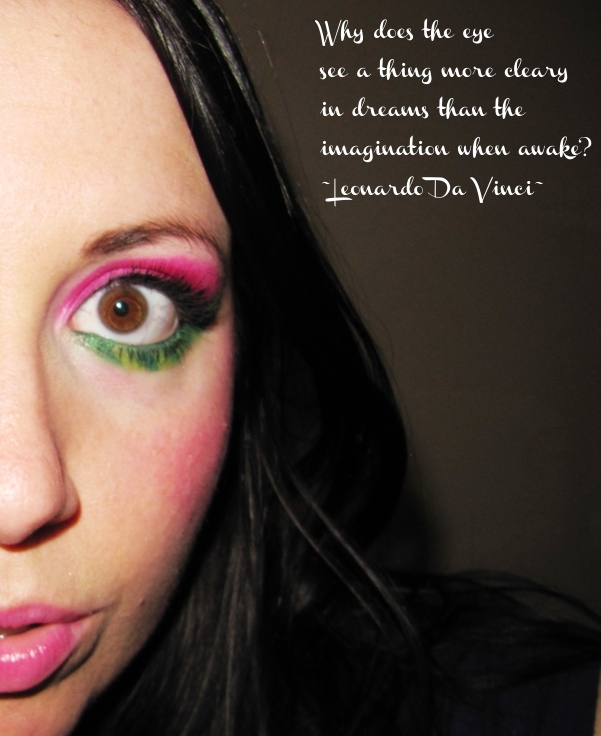 I also have a Kat Von D True Romance Palette: Truth that fits half way into this theme. 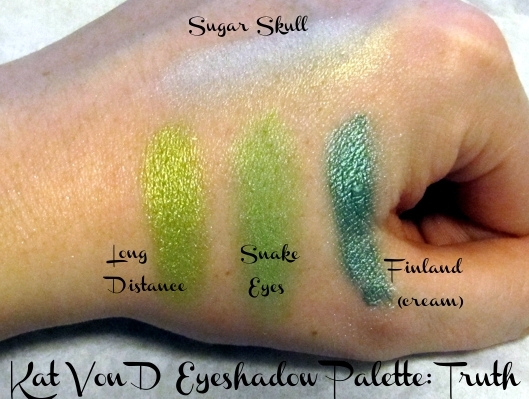 I swatched the basic highlight shade from the palette (Sugar Skull), two apple greens (Long Distance and Snake Eyes) as well as the token cream shadow from the palette (Finland). My Urban Decay Book of Shadows IV Palette has a couple of green shades worth posting about and my Too Faced Sweet Dreams Palette features one gorgeous green that had to be included as well. 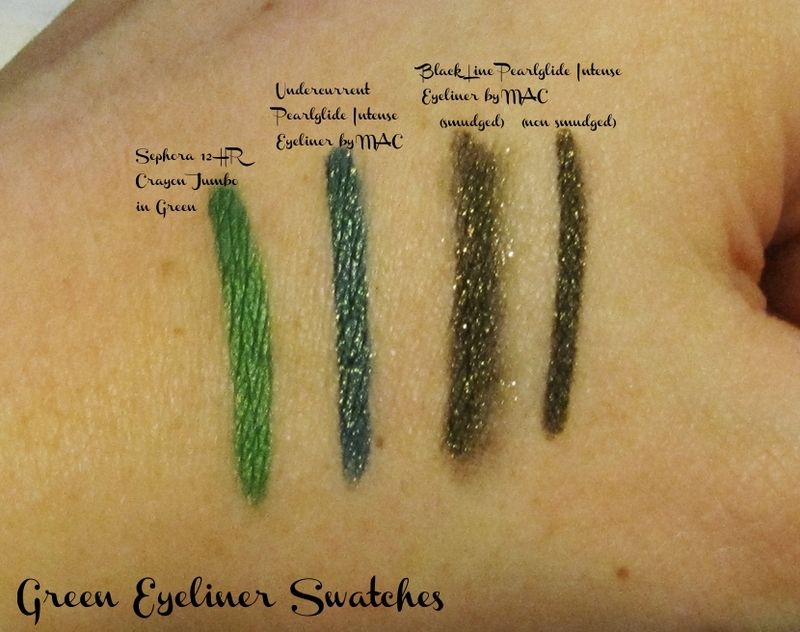 From the remainder of my collection, I have a number of “greenish” MAC shades as well as a couple of shades from Makeup Geek with quite the range of greens to choose from. So after all of this, if you happen to be one of those people wondering what green eyeshadow to get, this post might be overwhelming with so many choices. If green makeup is something new for you, I would suggest getting a nice vibrant shade and a nice dark rich shade to start out with. This will allow you to create a green smokey eye, or to use them individually with more neutral shades that you are more comfortable with. 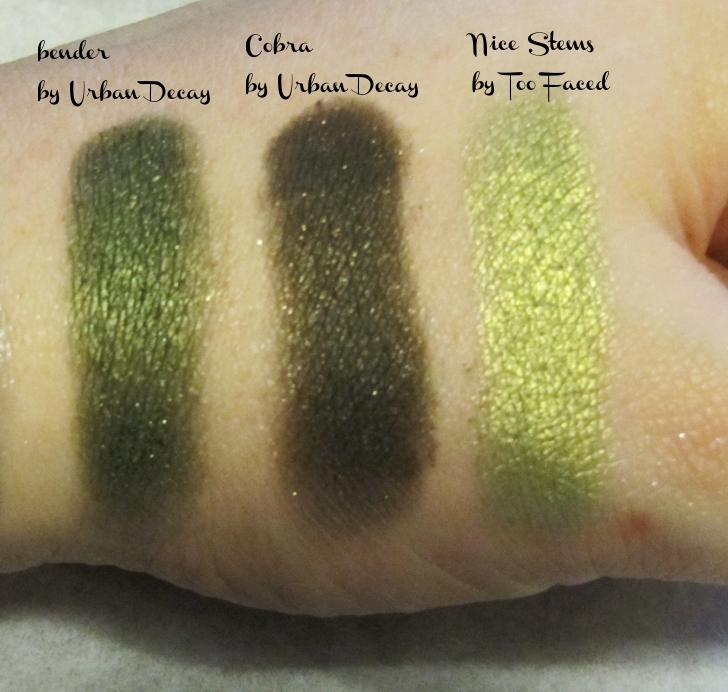 For the darker green, I would probably go with Humid by MAC or if you happen to have the Urban Decay Book of Shadows IV, consider yourself lucky because Bender is gorgeous! For your vibrant shade Swimming eyeshadow by MAC is beautiful and goes gorgeous with browns if you want to just incorporate a little bit of colour into your makeup routine. If you are feeling more adventurous Bio Green and Kelly are also wonderful, but they are from the MAC PRO collection and not available at all MAC stores. Swimming was actually my first MAC eyeshadow purchase that wasn’t a neutral or a highlight. You can see it here paired with Mulch (dark glittery brown) and Honeylust (medium golden brown) for a subtle pop of colour. And veering away from subtle, here is a dramatic and bold green eyeshadow look for St. Patty’s Day for the more adventurous. This look is showcasing Kelly, Humid and Black Tied eyeshadows by MAC. 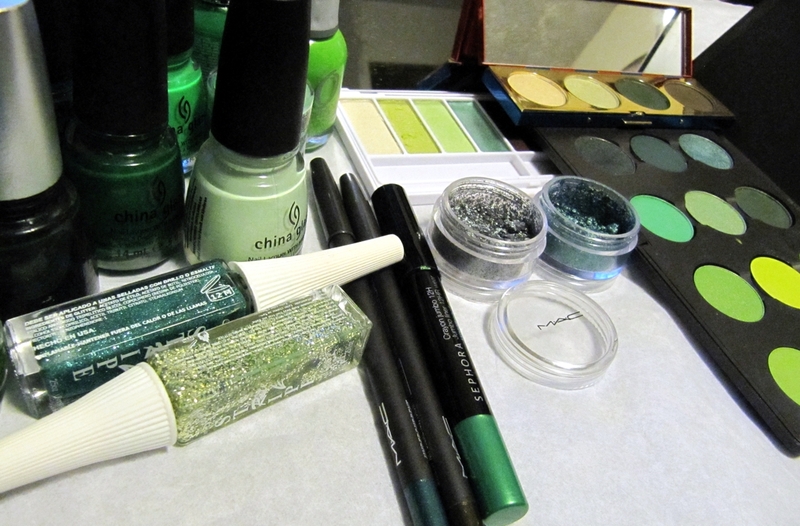 So tell me, will you be wearing green makeup this St. Patty’s Day? What are your favourite green makeup products? I’ve talked previously about the MAC Pro products and how they have a wide range of Pro colours and products that aren’t available at regular stores or counters. There are only 3 locations in Canada and of course Ottawa isn’t one of them. In December my fiancé at the time (now husband) spoiled me by bringing me back an entire custom palette of shadows from a MAC Pro store in Vegas, 12 out of the 15 shades not being available in normal stores. This tipped me off to the secret world of MAC Pro products and the allure of just what else they might have. So, when a couple of friends wanted to go to Toronto for the weekend to go to the Auto Show, it was an easy decision. The guys could go for the car show and the ladies could go for the shopping! Staying in a hotel downtown, we were nice and close to the MAC Pro store. 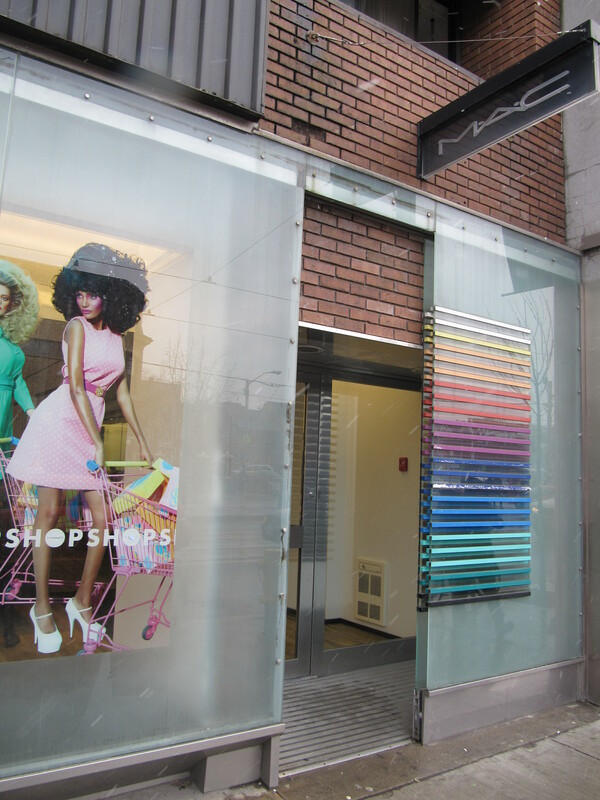 Located on Queen Street, it is in the middle of many other shops (both main stream and the unique boutique type). It was smaller than I imagined, about the same size as any other MAC Cosmetics store. But, when you started looking closely, it was easy to discover it wasn’t like all of the rest. All of their Pro colours were mixed in amongst the regular shades – so knowing their main products quite well helped us determine quickly what shades were Pro and which weren’t. They had a great deal of products for face and body painting including their Chromacake and Paint Sticks, which although the bright colours were alluring, we really had no use for. 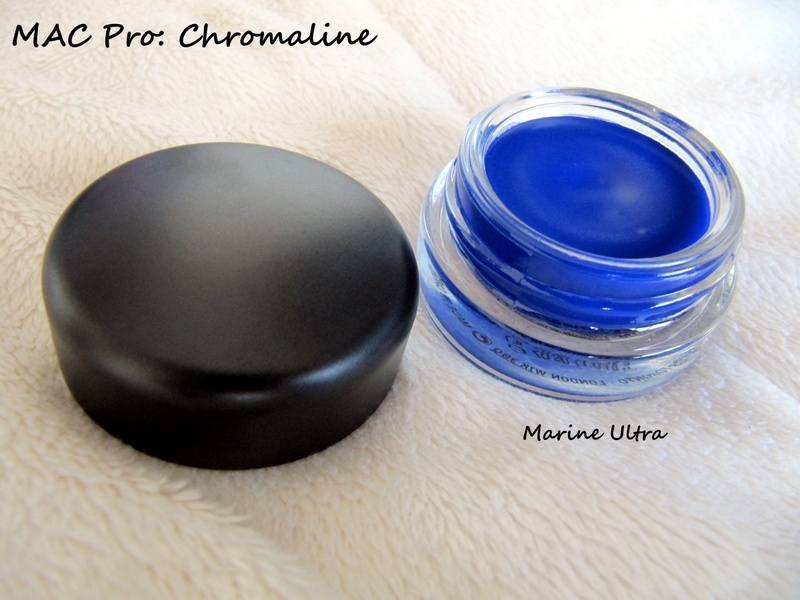 The only other MAC Pro products that we bought that day were from the Chromaline collection. 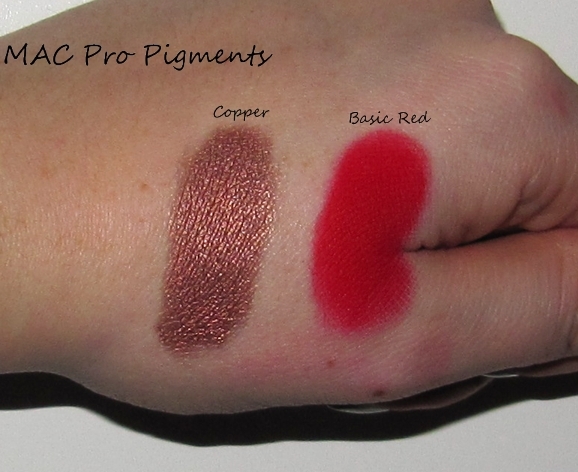 These are highly pigmented pots that can be used as a liner or as a base. They came in a wide variety of colours including white, black, red, magenta, pink, yellow, light blue, dark blue, green and purple. Although I would’ve loved to purchase all of them, I figured it would be best to start with one to make sure that I didn’t only love it…but that I would also use it. So I went with the vibrant blue called “Marine Ultra” and my friend picked up the staple white which she can use almost daily. I will try to incorporate these products into some looks soon so you can see them in action. So, it’s Saturday night and a couple of friends came over. 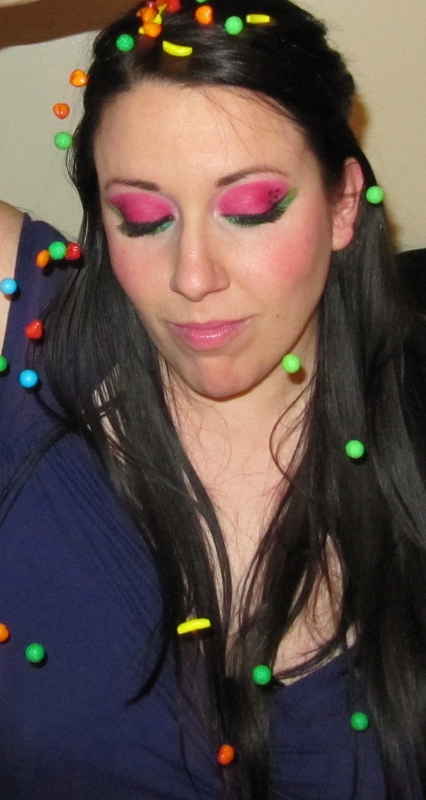 We had an urge to play with some bright makeup but my friend was suffering from an eye allergy so we improvised. I did the eye makeup and she did the lip makeup. 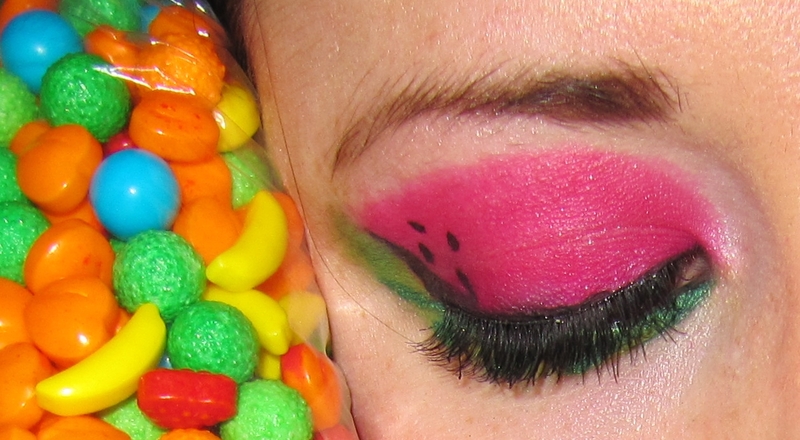 We hope you enjoy our Watermelon Makeup and Adventures in Candyland! She used Make Up Forever Pure Pigment in No 12. (Extremely hot pink) Using a clear gloss and lip brush she mixed the pigment into the gloss and applied all over the bottom lip and half way up the top lip. Using Sephora’s Crayon Jumbo 12H lip pencil in green she filled in the top portion of her lip (you can see what I am referring to here). 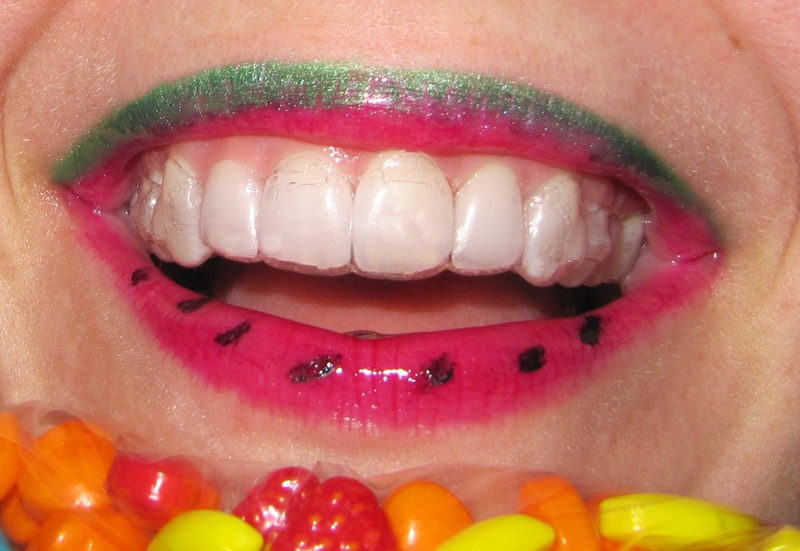 Then with a black liquid eyeliner she created seeds along her bottom lip to complete the Watermelon Lips Look. Starting out with Mary Kay Eye Primer all over the lids, I quickly started covering the entire lid in the Make Up Forever Pure Pigment No 12 (the same one that was used in the lips above). I used Lime Eyeshadow from the Pro line of MAC to create a thick heavy line under my eye. 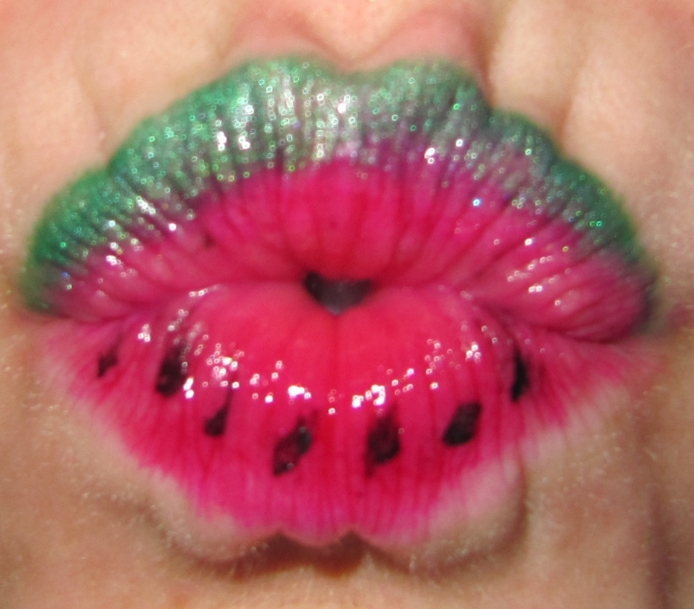 I then used the same green jumbo Sephora crayon that were used on the lips to create the dual toned textured look for the watermelon rind. 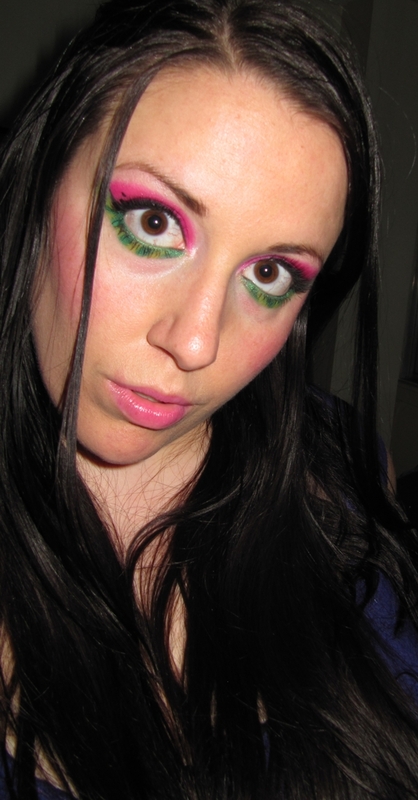 The Lime eyeshadow seemed a little too light, so I then took Kelly Eyeshadow from the Pro line of MAC to blend into the jumbo crayon and make the lines look a little less harsh. 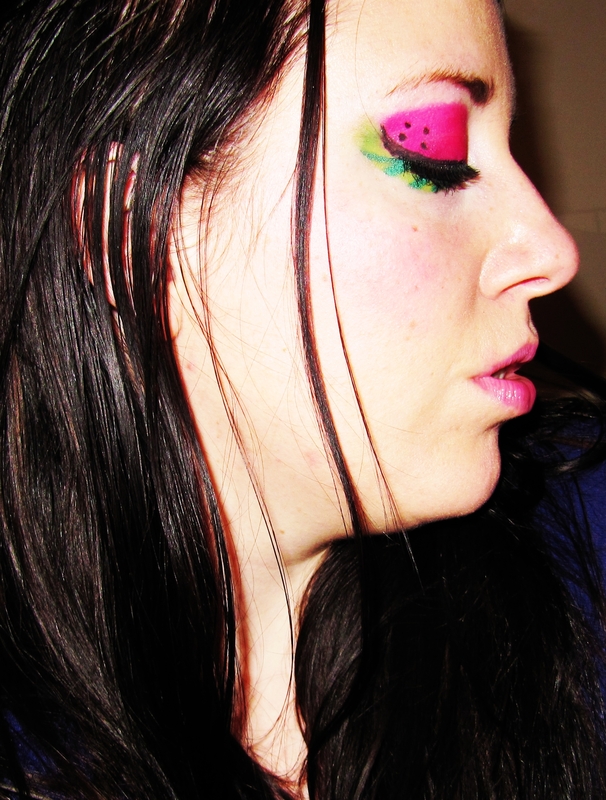 Topping off the look with black eyeliner, mascara and false lashes – the Watermelon eye makeup was complete. We wanted to incorporate some fruit into our pictures, but all we had here around the house were bananas…and well, that just wasn’t going to happen. So we scrounged up some Runts to add a “splash” of colour and had ourselves some fun. I am not sure you could’ve had a better Saturday night then we did. We highly recommend giving yourself a Candy Shower at the next possible convenience. I never thought that the man in my life would tell me something about makeup that I didn’t already know. But that day came and went, over a month ago. When my then fiance went to Vegas for his stag, being the sweet man that he is, he went shopping for me. He walked into a large MAC store and asked what they had there that I wouldn’t be able to get in Ottawa. He proclaimed that I had a lot of their products and he wanted something for me that I couldn’t already have. He discovered their “Pro” line of cosmetics. They have a great deal of eyeshadow shades, lipstick shades, different eyeliners altogether and a great deal of product that you can’t get unless you are at a MAC Pro store. 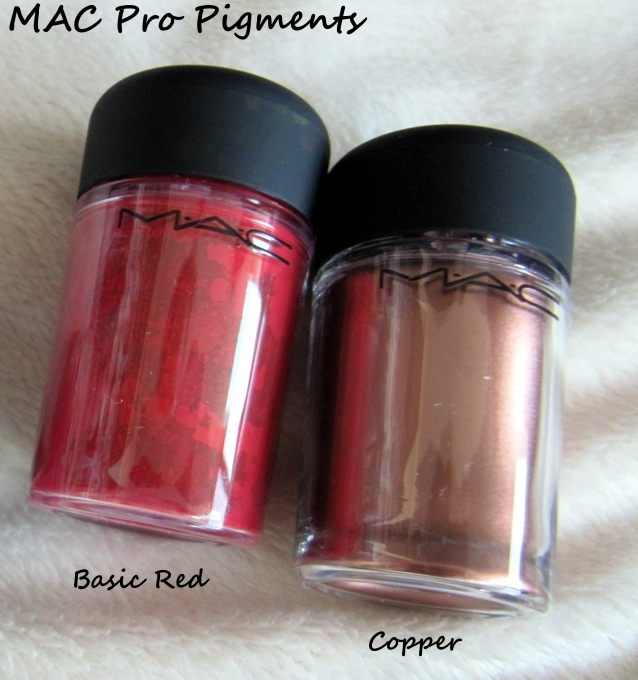 You can check out the website here: http://www.maccosmetics.com/macpro/index.tmpl. But don’t get too excited, you can’t purchase anything online unless you have an actual pro membership. But if you are instore, you can purchase anything you like. 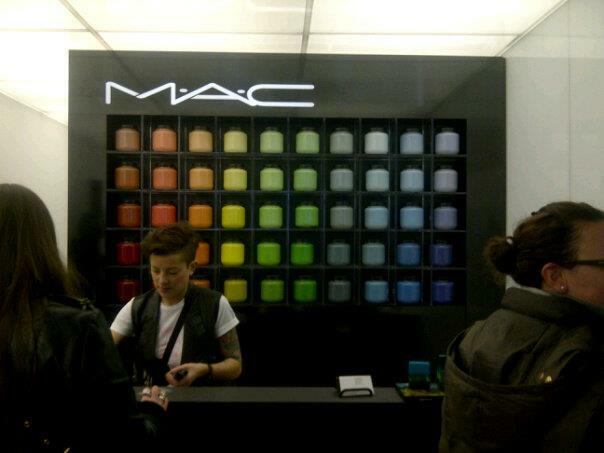 For a store location near you follow this link: http://www.maccosmetics.com/macpro/locator/index.tmpl. (They only have three locations in Canada – Vancouver, Toronto and Montreal). That would make the closest MAC Pro store to me about 2.5 hours away in the heart of Montreal. I will certainly be stopping there on our next Montreal visit. I should probably start saving now…. Somewhere in the blur that is the past week, I got married! Hence why my posts completely fell off the face of the Earth. I will get to talking about the wedding soon enough, but for now I have some catching up to do. People started flying in and the whole week went by in a blur. I’m now back at work and wondering where the time went. No more trips to the airport now, everyone has gone back to their respective homes. Whether that be Calgary, Arizona, North Carolina, Toronto, Kitchener or Bayfield. For the first time in a week, we are able to relax and spend an evening, just the two of us. I plan to wear pajamas all night and do some rewinding – I’ve missed this! Before the insanity truly began – let me back up to a week and a half ago. James’ groomsmen were throwing a small stag for him, locally, here in Ottawa for the people that weren’t able to attend the Vegas trip. And one of my girlfriends was furious that the men got to go out AGAIN and we were going to be stuck at home. So we decided to get all dolled up and head downtown for some drinking and dancing. For those of you that know me – you know that the drinking comes before the dancing!